Home / News / It’s official! Many Brits now watch Netflix at work or on the go! Netflix is addictive. Anyone who has ever used will tell you as much. Once you start watching a series, it is almost impossible to focus on anything else until you have seen it through to the end. And now it seems this is official as a new survey has shown that a fifth of UK-based Netflix users admit to watching shows while they are at work. Who is watching Netflix while at work? The survey, which was commissioned by Netflix, and carried out by Toluna, asked questions of 4,344 British Netflix users over a 3-day period. They found that across the UK, 20% of users admitted to logging in and watching content while at work. But there were some startling regional variations found too. The worst offenders are apparently in London. There, a whopping 39% of those surveyed had streamed Netflix shows during office hours. That is considerably higher than any other region of the UK. The next highest was the West Midlands (24%) while completing the top 3 was Scotland (23%). So, it seems that despite the fact that many workplace networks restrict access to services like Netflix, many people are managing to get around this. Some may be using a mobile device connected to a 3G or 4G network. But that isn’t always the easiest thing to do in the office without your boss catching you. It, therefore, seems likely that many people are deploying a VPN to get around any workplace restrictions that might be in place. By connecting to a VPN, not only are they hiding their online activity from any potential surveillance that employers might have in place, but they are able to access any content they want regardless of what restrictions the office has in place. This means that with a VPN it is possible to stream Netflix safely on your work computer, or even on devices connected to School or University networks that might also restrict access to it. The survey also revealed that more people than ever are streaming Netflix content in public too. A sizable 46% of those asked admitted to watching Netflix shows in public. 26% of these said they did so while travelling on the train, while 16% were bus passengers. So, it seems that Netflix is replacing books and newspapers as one of the most popular ways to while away your commute to and from the office too. Of course, logging into your Netflix account on public Wi-Fi is also a risky step to take without being connected to a VPN. Public Wi-Fi networks are notoriously insecure and not only are you putting your log-in details and potentially your credit card information at risk, but you could also be letting people see what you are watching too. A significant number of people wouldn’t like this at all. According to the survey, 11% of Netflix users admit to turning off shows they are watching in public because of embarrassing content, such as sexual activity or drug-usage. So, it seems that Netflix is becoming a more and more common way of passing the time whether during your commute or as a tool of procrastination in the office. But why limit yourself. If you are going to be watching Netflix in the office or on the way to or from it, why not make it as exciting as possible. Why not start watching US Netflix instead of restricting yourself to the British version. It has much more content available and doesn’t cost any more than the British version. With a VPN such as NordVPN, it is possible to access the US version of Netflix from anywhere in the world. NordVPN is not alone either with a number of leading VPNs able to facilitate access to US Netflix from the UK and elsewhere. If you are into Indian culture, it is even possible to watch Netflix India from the UK, which obviously has a very different selection of available content on offer to the UK version. Another great way to watch Netflix is together with friends. This used to only be possible using software specific to desktop or laptop computers. But it is now possible to watch Netflix together with friends on mobile devices too. So, if you are always spending your lunch hour in the office talking about your favourite show together with Jill from Accounting, why not watch it together with her on a slow afternoon. Or even on your commute. Even if you are travelling in completely opposite directions, it is still now possible to do this. 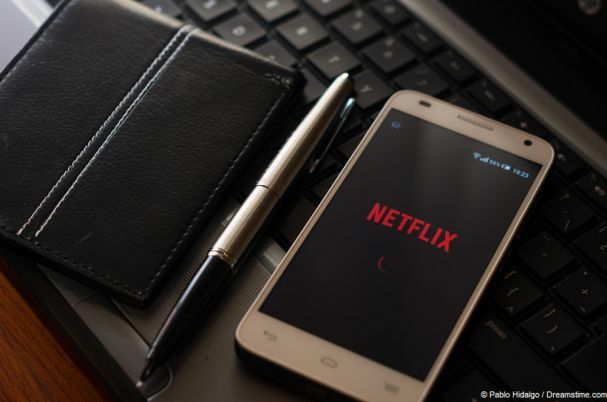 Netflix is increasingly becoming the new normal and with a VPN it is possible to maximise the potential of your Netflix viewing pleasure, take in all the latest shows, and still appear to be productive in the office!